The sub-brand of Huawei, Honor has launched its all-new smartphones on Wednesday. The two new smartphones are Honor 8X and the second one is Honor 8X Max. The two smartphones will have the glass-finish back panel that will also have a dual rear camera setup. The smartphones have got the thin bezel displays. 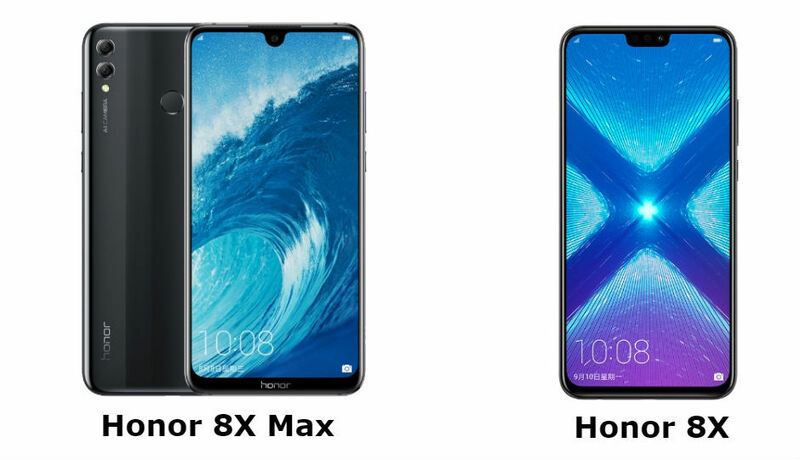 The Honor 8X will have an iPhone X-like display notch while the Honor 8X Max will have a waterdrop notch. Both the smartphones will be having the 18.7:9 and 19.5:9 aspect ratios. The phone will be having a sound system of Dolby Atmos which will be surrounded by stereo speakers. The phone has also got a TUV Rheinland-certified blue light protection. The company has provided the artificial intelligence (AI) powered features to the phone too. The phone will also have the other features like HDR, Portrait mode, AR stickers as well as Super Scene. The all-new Honor 8X will be coming with a price tag of Rs 14,700 which is set for the 4GB RAM + 64 GB storage. The 6GB RAM + 64GB storage will be getting the price tag of Rs 16,800 while the 6GB RAM + 128 GB storage will be having the price tag of Rs 20,000. It has been seen that the pre-orders for the smartphones can be placed starting from 6th September 2018 and the sales will be starting from 11th September 2018. The Honor 8X Max will get the price tag of Rs 15,700 for 64 GB storage while 128 GB storage will be priced at Rs 19,000. The Honor 8X will be running on EMUI 8.2.0 which is based on Android 8.1 Oreo. It will be having a screen size of 6.5 inches full HD+ TFT IPS display along with the 18.7:9 aspect ratio. It will be powered by the octa-core HiSilicon Kirin 710F SoC which is coupled with 4GB as well as 6GB RAM. The phone will have a dual camera setup with 20 MP primary and 2 MP secondary sensor. The selfie camera will be 16MP. The Honor 8X Max will be running on EMUI 8.2.0 based on Android 8.1 Oreo. It will be having a screen size of 7.12-inch Full HD+. The octa-core Qualcomm Snapdragon 636 SoC will power it. The phone will have the dual camera setup with 16 MP primary and 2 MP secondary sensor. The selfie camera will be 8MP.